Indian thought is characterised by simplicity, freshness and a distinct variety of its own, which are not traceable in other thoughts in the field of human civilization. 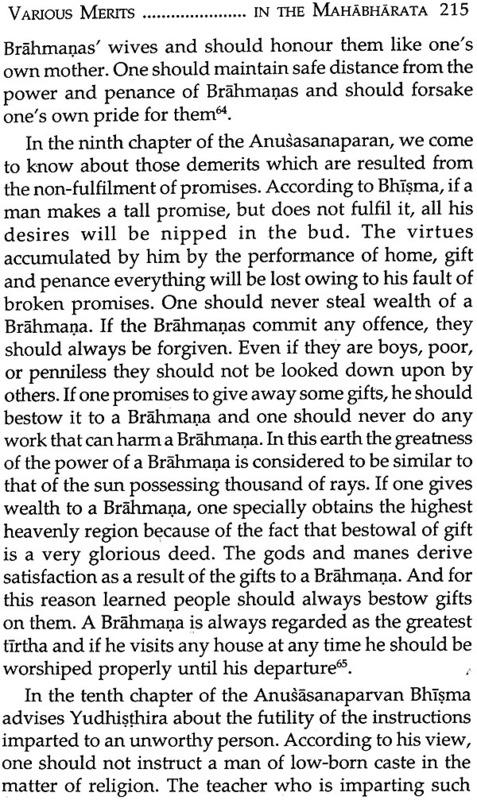 This fragrance of Indian thought makes itself manifest in the diverse branches of religious and philosophical, moral and ethical studies and as a result, of having an idea of the profundity of Indian mind, it becomes necessary of having been acquainted with the varied concepts of religion and philosophy, morality and ethics, politics and sociology as developed through many centuries across the globe. The grand structure of Indian religion bears ample proof to the brilliant skill and talent of the great masterminds beginning from the age of the Vedic seers down to the exponents of innumerable religious sects and philosophies, belonging to different sections of Indian philosophy. 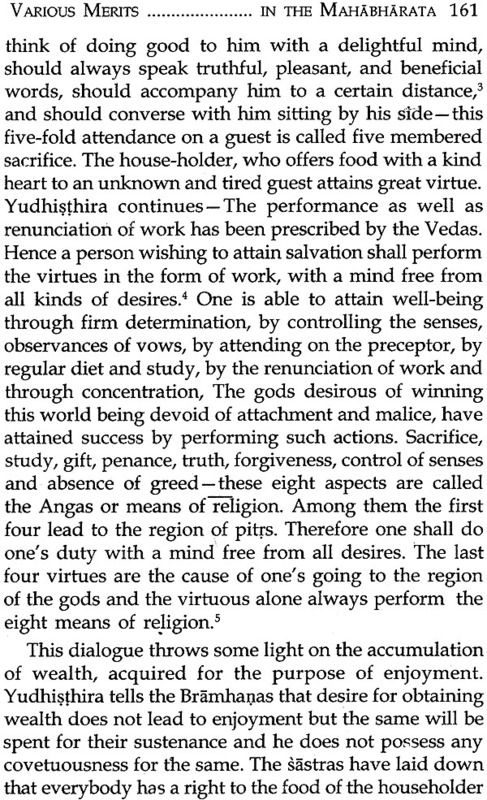 The present work entitted 'Continuity of Vedic Rituals in the Mahabharata' deals with the genesis and development of Vedic sacrifices, with an eye on their unceasing continuity in the great epic. 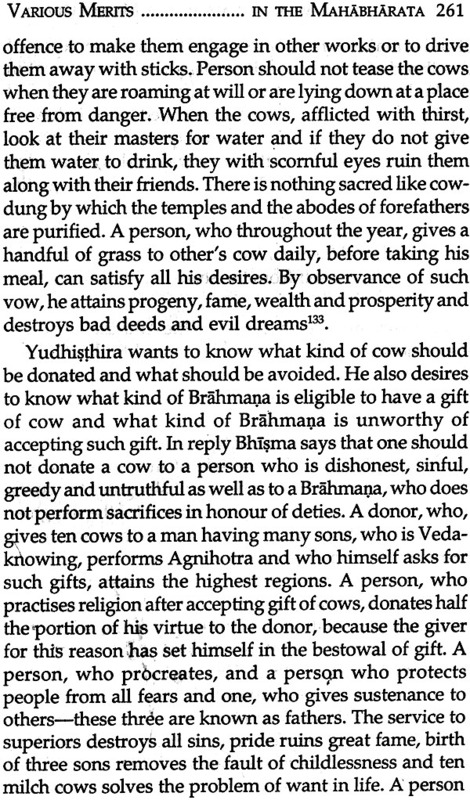 The Mahabharata, as the adage goes, is a compendium of literary, social, economic, political, philosophical and ethical doctrines and here a modest attempt has been made by the author in analysing some thechnicalities associated with ritualistic details of various Vedic sacrifices. It is indeed heartening to note that Dr. Narayan Chandra Santra, has been successful to a great extent in elaborating the epic concept of various Vedic rituals and to present to the bar of the academic world the intellect and wisdom of the Vedic seers on the diverse fabric of ritualistic niceties in Indian religion and philosophy. The monograph embodies the doctoral thesis submitted by Dr. Santra in support of his candidature for admission to the Ph.D. (Arts) degree of the Jadavpur University. 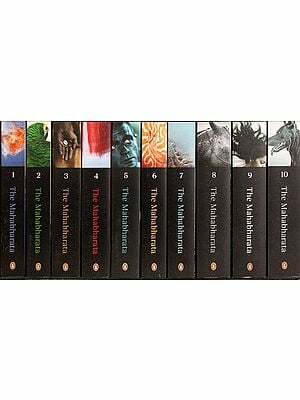 DIvided into four chapters, the treatise makes on attempt in dealing with the nature and concept of some prominent Vedic sacrifices as reflected in the Mahabharata. 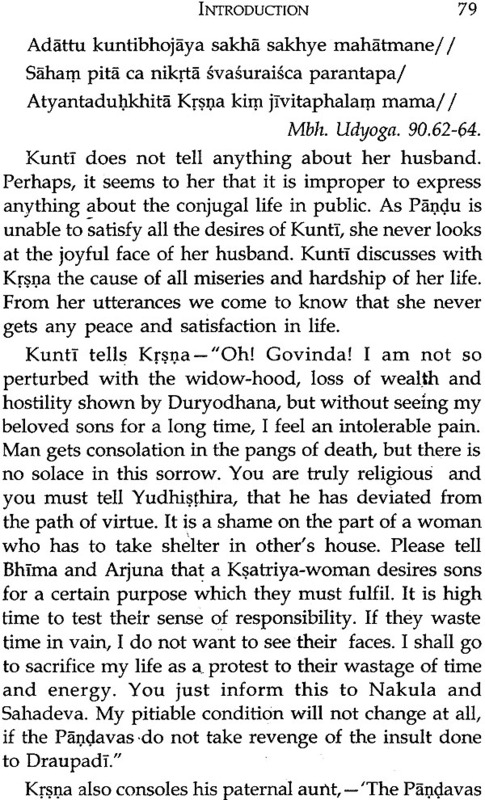 The Vedic literature, with the transition of the age of the Samhitas to the age of the Brahmanas, is marked by stagnation of poetic inspiration and at the same time, it is overshadowed with the dry and barren thought that centres around the multitude of rituals and their accessories. This period, however, is a passing phase and one is astonished to trace the flash of philosophical urges and enquiries to the riddles of the universe. The Upanisadic period of the Vedic era tries to solve the mystery in an ingenious way, giving rise to a whole philosophical system, marked by eternal freshness. 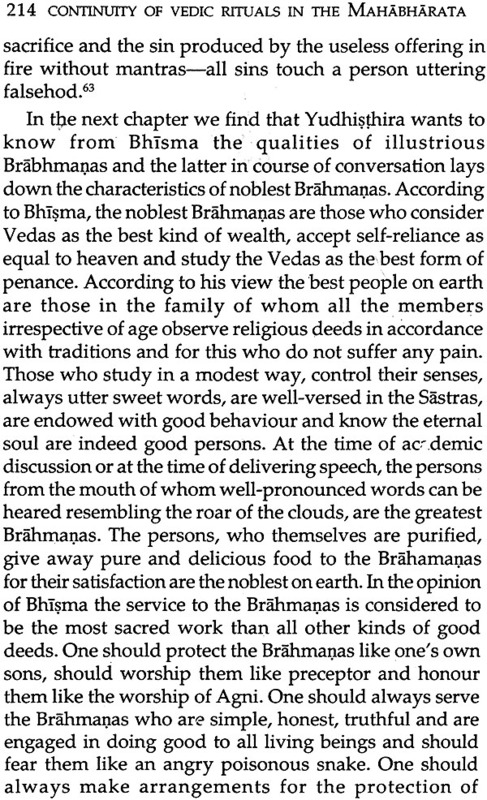 Though the phase, represented by the Brahmana literature is ephemeral, still to get an insight of the Vedic mind it is indeed imperative to have an idea of the sacrifices and their crucial role in the field of religion and philosophy. 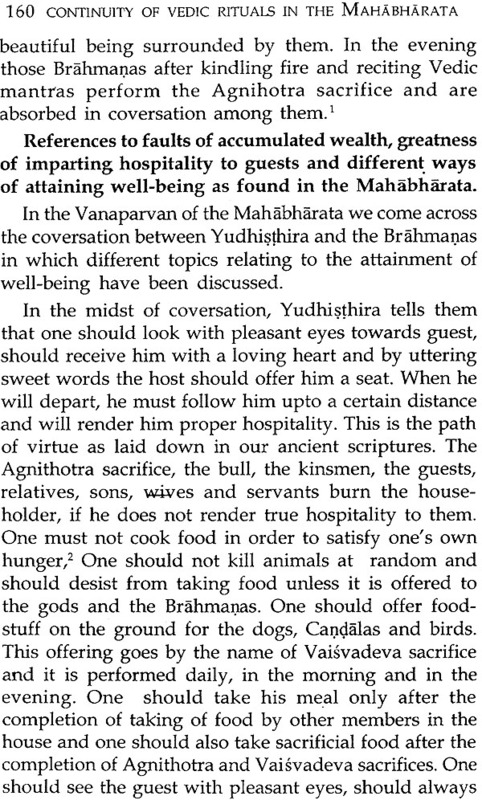 Chapter Two of the present work takes within its ambit a detailed analysis of sacrificial rituals such as Dasahotr, Saptahotr and Caturhotr ceremonies as well as Rajasuya and Asvemedha sacrifices. In this connection, other interesting religious, philosophical and moral concepts have been treated by the author in order to show their continued presence in the corpus of the great epic. 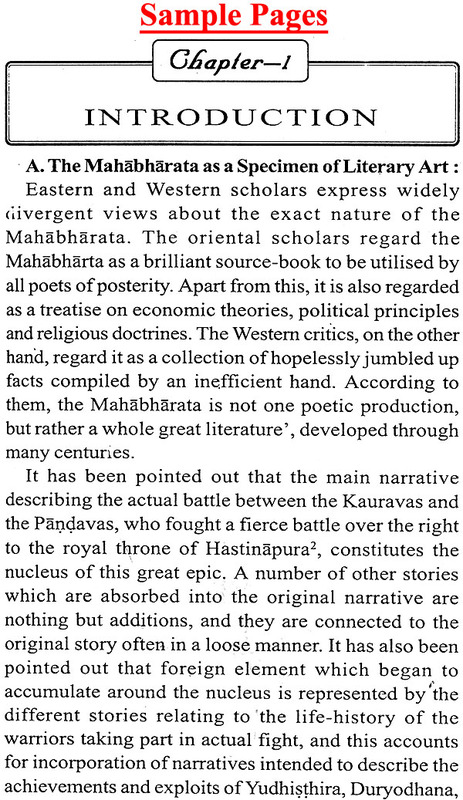 I congratulate the author for his remarkable contribution towards the interpretation of ritualistic technicalities as expounded and developed in the voluminous text of the Mahabharata. I am confident the book will be received with a warm welcome by critical readers, both in the East and the West. The present work embodies the doctoral thesis entitled "Continuity of Vedic Rituals in the Mahabharata" which is being submitted for the Ph.D. (Arts) dergee of Jadavpur University. The monograph represents the results of researches carried on the various ritualistic aspects as dealt with in the Mahabharata. 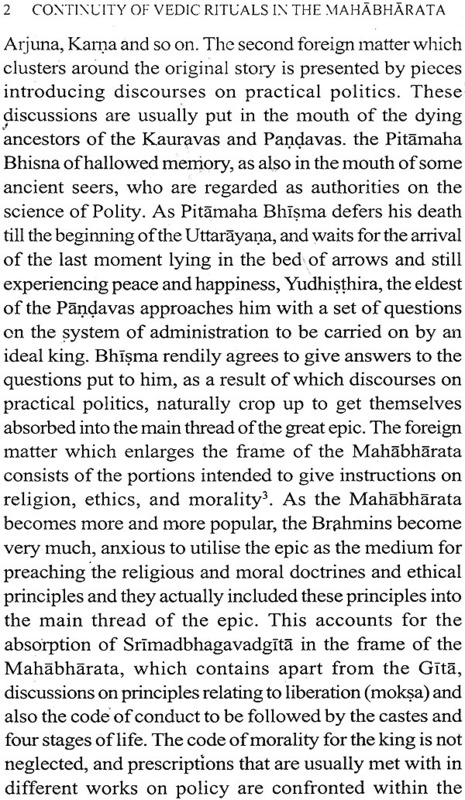 The Mahabharata is regarded as a store-house of literary, social, economic, political, philosophical and ethical concepts and a humble attempt has been made here to present some ritualistic details as described in the great epic. I take this opportunity to express my profound sense of gratitude to my respected teacher, Professor Ramaranjan Mukherjee, Ex-vice-Chancellor, Burdwan University, for his constant encouragement in the preparation of the work. I am deeply indebted to my learned teacher, Prof. Sukumari Bhattacharji, who very kindly suggested the topic of my research work. I pay my deep respect and gratitude to my revered teacher, Sri Hemanta Kumar Ganguli, who has rendered me kind help by his expert and versatile knowledge. On this occasion I express my warm gratitude to my respected teacher and supervisor of this thesis, Dr. Bhabani Prasad Bhattacharya, Head of the Department of Sanskrit, Jadavpur University, and also to my teachers Prof. Gopika Mohan Bhattacharya, Prof. Sitanath Goswami and Dr. Rabisankar Banerjee, Reader in Sanskrit, Jadavpur University. My heartfelt gratitude is also for Dr. Sachindra Kumar Maity, Reader in History, Jadavpur University, for his kind appreciation and constructive suggestions. I felt it to be my solemn duty to pay my respect to Dr. Dhananjoy Das, Reader in Mechanical Engineering, Jadavpur University for his inspiration and encouragement to my academic pursuit. I am thankful to my friend, Sri Surendranath Deb, Reader in Sanskrit, Burdwan University, who has rendered great help in my research work. I express my sincere gratitude to my well-wishers, Srimat Swami Lokeswarananda Maharaj of Ramakrisna Mission Institute of Culture and Srimat Swami Atmanandaji Maharaj, General Secretary, Bharat Sevasram Sangha also for showing their keen interest in this work of mine out of affection towards me. I shall be failing in my duty if I do not mention the name of Sri Bhupal Prasad Mandal, Head Master, Khanchi G.A. Vidyapith, who has rendered invaluable assistance by his constant encouragement. Last but not the least, I am extremely grateful to Sri Subas Dutta for his unstinted labour in making a beautiful type-script out of an illegible handscript. At the end I convey my thanks to Sri Abhoy Burman, Publisher, Sanskrit Book Depot for bringing out the book with a short time.